The Rock & Roll Hall of Fame induction ceremony, scheduled to air on HBO starting May 18, included surprising outbursts, long awaited recognition and performances by some of music’s most iconic representatives. “It was everything you expect when you put such a widely diverse group of musicians, performers and fans in a room together,” said Chuck Brennan, founder of Rock and Roll Academy, Brennan Rock & Roll Academy and CEO of Dollar Loan Center. The Academy was one of two exclusive sponsors of the 2013 Rock & Roll Hall of Fame induction ceremony. Held at Hollywood’s Nokia Theatre last month, the event will be televised on HBO beginning this Saturday, May 18. “Viewers will get a chance to see truly authentic reactions and performances from some of the greatest musicians in history,” said Brennan. During the evening Jennifer Hudson performed in honor of Donna Summer, Usher performed Michael Jackson songs for Quincy Jones and inductees Randy Newman, Heart, Rush and Public Enemy performed. Brennan recently organized a series of rock concerts at the Academy, located in Sioux Falls, South Dakota, to celebrate its grand opening. Performances from stars including Night Ranger, Alice Cooper, George Lopez, Louie Anderson, Vince Neil, Stephen Pearcy and many other entertainment icons helped raise $1.4 million for its students in the Boys & Girls Club in Sioux Falls, South Dakota. The Brennan Rock & Roll Academy grand opening had its own surprises, with Gene Simmons of KISS surprising the sold out crowds by performing and donating to the event’s silent auction. Cooper performed with Robby Krieger of the DOORS and a Who’s Who of the rock industry including Eric Singer and Tommy Thayer of KISS, Sebastian Bach and Joey Allen of Warrant. Brennan has a lifelong passion for Rock & Roll music. Before founding Dollar Loan Center he opened and operated one of the largest Rock & Roll concert halls in the Midwest, The Blitz Ballroom. Iconic bands including Joan Jett, Steppenwolf, Quiet Riot and Blue Oyster Cult all graced the stage at the Blitz. Released in September 1991, Nirvana’s sophomore album and major label debut elevated Kurt Cobain, Krist Novoselic and Dave Grohl from a critically acclaimed Aberdeen, Washington, cult band to generational spokesmen who’d unwittingly created a cultural shift and musical touchstone. Rising to No. 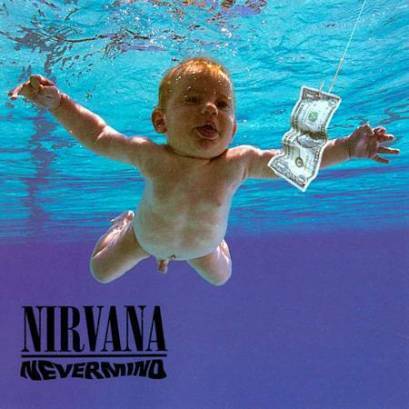 1 the world over by year’s end and ultimately selling over 30 million copies worldwide, Nevermind would come to be much more than one of the most successful and influential albums of its or any era. As the album that returned unaffected rock ’n’ roll integrity and passion to the top of the charts, Nevermind would prove a singular inspiration to fans and musicians alike over the last two decades–and will undoubtedly do so for generations to come. Now on the occasion of Nevermind‘s 20th anniversary, Universal Music Enterprises presents a full spectrum re-release worthy of such a pivotal classic. With configurations ranging from a 4-CD/1-DVD Super Deluxe Edition to a standard digital/CD remaster of the original album, the 20th anniversary reissue of Nevermind makes the most of the occasion, unearthing literally dozens of previously unreleased recordings, obscure B-sides, alternate mixes, radio sessions, studio rarities and live recordings, including a 1991 Halloween concert at Seattle’s Paramount Theatre in its entirety. The limited, numbered Super Deluxe Edition more than lives up to its name as one of the most expansive and ambitious collections of its kind with only 10,000 copies available in North America, and another 30,000 for the rest of the world. The Super Deluxe features not only the original remastered album and accompanying studio and live B-sides, but the first full official release of the pre-Nevermind demos recorded at producer Butch Vig’s Smart Studios, as well as boombox recordings of subsequent rehearsals through which the listener can actually experience “Smells Like Teen Spirit,” “Come As You Are,” “On A Plain” and others that take shape before his or her very ears. The Super Deluxe also offers an altogether new perspective on the finished Nevermind album exclusive to this format in the form of the Devonshire Mixes: the album as produced and mixed by Vig as opposed to the commercially released final version produced by Vig and mixed by Andy Wallace. Rounding out the Super Deluxe are a pair of previously unreleased BBC recordings and the aforementioned 1991 Paramount show available for the first time and exclusive to this format on CD and DVD (which also features all four music videos from Nevermind), as well as a stunning 90-page bound book full of rarely and never- before-seen photos, documents and various other visual artifacts of the Nevermind era.